Liccardo, who also sits on the commission board, said reducing traffic congestion in the South Bay will require cities to add more housing units instead of simply focusing on job growth, and it might require regional incentives and penalties on cities.“We need to get people living closer to where they work,” Liccardo said. True for those who must be on site for their work. Not true for most knowledge workers who thanks to today’s information and communications technology — much of it innovated in the Bay Area. 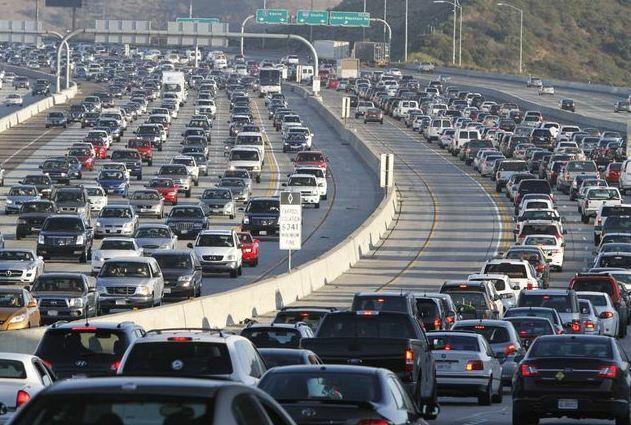 A new generation of policymakers and planners is needed that recognizes the potential of ICT to reduce the need for daily commute trips that substantially contribute to the enormous transportation demand that’s choking the Bay Area and other metros. The September losses, combined with 2,400 job losses reported by the EDD for August, paint an unsettling picture and lend credence to the assessment from a growing number of experts that the Bay Area’s job growth has begun to slow dramatically. The lack of housing also makes it tough for employees to live near their workplaces, forcing many into lengthy commutes on roads choked with traffic. Some prospective employees decide they’d rather not bother. “The economy in the Bay Area has pushed up against the physical limits of a lack of housing and a lack of places for workers to live,” said Jeffrey Michael, director of the Stockton-based Center for Business and Policy Research at University of the Pacific. The San Francisco Bay Area is reaching the limits of time and distance. People will only commute so long and so far before it becomes unfeasible. The silver lining is the Bay Area is headquarters to many information and communications technology companies that innovated the tools to bridge and time and distance gap and make it possible for knowledge workers to work in the communities where they live — and can find affordable housing — rather than wasting time in needless, traffic choked commutes. With constant gridlock turning freeways into parking lots, BART trains packed to the gills and mounting concerns about how to accommodate continued growth in the region, more than half of prospective voters said they’d be willing to pay up to $3 more in bridge tolls to ease congestion, according to a new poll.Commissioned by the region’s two largest business boosters, the Bay Area Council and Silicon Valley Leadership Group, along with the transportation policy think-tank, SPUR, the poll surveyed more than 9,000 residents, 85 percent of whom said they felt traffic is worse this year than it was last year. Roughly three quarters, of 74 percent, said they’d be willing to pay more to cross the Bay Area’s seven state-owned bridges if that money is invested in “big regional projects” that ease traffic and improve mass transit. Raising bridge tolls is based on the erroneous assumption that commuting is a discretionary activity and thus economically penalizing it will get drivers off jammed highways. It’s not. For commuters, commuting is part of their jobs. They are merely conforming to an outdated cultural expectation that knowledge workers show up every day at the office. 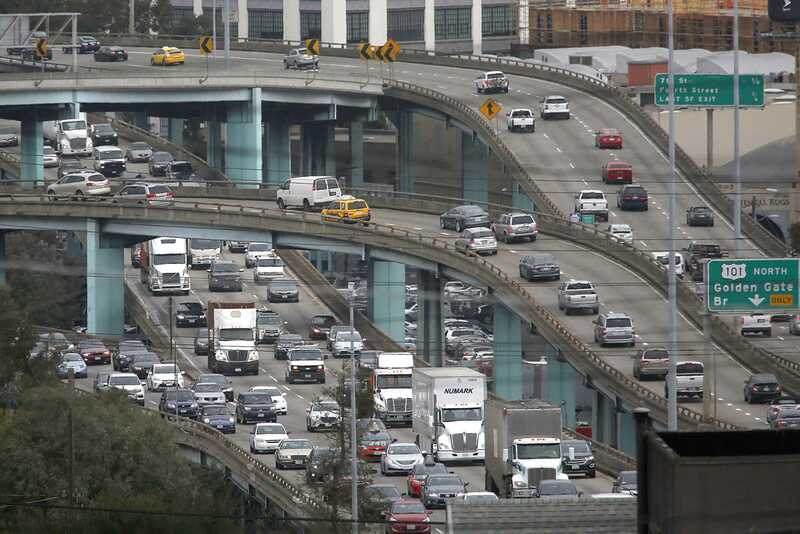 This “solution” dates back to the 1980s when Bay Area traffic congestion began getting out of control. Transportation planners suggested at the time that market-based approaches such as higher tolls during peak hours would help alleviate it. Bay Area employer organizations can have the greatest impact on reducing commute hour traffic congestion by reducing the role of the centralized, commute-in office. That can be done by leveraging information and communications technology — much of it innovated in the Bay Area — to enable knowledge workers to work in communities where they live instead of driving daily to work. The paradox of the San Francisco Bay Area continues. The Chronicle’s Nicholas Cheng points out the irony of companies that innovated information and communications technology (ICT) advances that have made the centralized, commute-in office spaces of the previous century all but obsolete, yet continue to cling to the outdated pattern. And as SPUR’s Allison Arieff says, the current state of affairs is unsustainable. There is only so much real estate, highway lanes, parking spaces and public transit capacity to work with. ICT provides far more capacity to move the products of knowledge and information work than transportation infrastructure can to move bodies every work day. If it seems as if you’re spending more time behind the wheel than ever, it’s not an illusion. 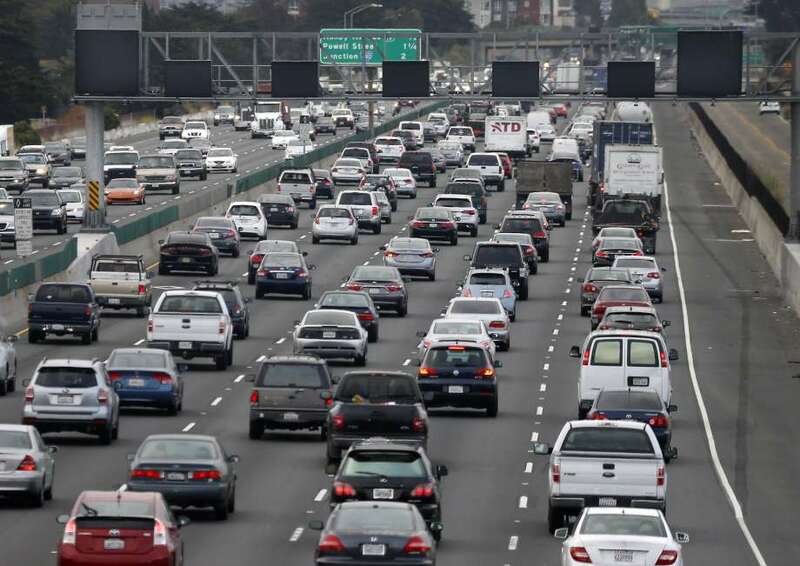 Since 2010, the amount of time Bay Area drivers endure crawling along in freeway congestion has soared 70 percent.That’s the highest level of “congested delay” — time spent in traffic moving at speeds of 35 mph or less — since traffic experts began keeping track in 1981. The San Francisco Bay Area continues to underutilize its signature product — information and communications technologies (ICT) — that could make a big dent in its world class traffic congestion by reducing commute trips. Instead of commuting along freeways to offices located elsewhere in the Bay Area, ICT enables knowledge workers to remain at home or in the communities rather than playing road warrior each work day. But the Industrial Age commute to the office habit is proving to be very enduring even as traffic congestion and associated delays and adverse quality of life impacts continue to increase. The late management master Peter Drucker’s perhaps most quoted aphorism is “culture eats strategy for breakfast.” In California’s Silicon Valley, culture makes a daily meal of a key benefit of its products and services: information and communication technologies (ICT) that decentralize and make knowledge work – now the essential activity of Silicon Valley with most if not all manufacturing done outside of the area – location independent. As a geographical location, Silicon Valley has effectively obsoleted itself but doesn’t know it yet or simply cannot accept it. There are a couple of reasons why Silicon Valley remains defined by location even though for much of the world, Silicon Valley connotes ICT innovation rather than a spot on Google Earth. First is its founding in the 1960s. Intel made microprocessors there. Hewlett Packard manufactured test instruments and minicomputers in Silicon Valley. Late in the following decade, Apple Computer got its start there. These companies all predated the information economy even though their products would later give rise to it as the 20th century drew to a close. As manufacturers, their cultures are heavily based on the Industrial Age paradigm of commuting in daily to a centralized work location: the plant and the office. That cultural touchstone combines with a second powerful element that reinforces daily commute trips to Silicon Valley companies: Stanford University. Stanford and Silicon Valley’s proximity to it was the academic component of Silicon Valley’s synergy of the early years that brought together academics and cutting edge engineers. Stanford lent Silicon Valley an academic, campus culture that remains in place today. Silicon Valley companies honor that culture by regarding their headquarters as “campuses.” Apple and Google have built enormous mega campuses that offer the amenities of the most modern college campus such as gyms, food service, and laundry facilities (but without the dorms). The raison d’etre of the campus is another c-word: collaboration. Silicon Valley’s campus culture is strongly tied to the belief that collaboration can only truly occur on the campus in real time, face to face — much like graduate fellows discussing the latest theories of quantum mechanics. That discussion might produce an important breakthrough. In 2012, Yahoo! CEO Marissa Mayer and Hewlett-Packard soon thereafter paid homage to the campus culture by ordering staff to report to the office daily and cease working from elsewhere. Enforcing the collaborative campus setting was the hoped for secret sauce to lift these companies fortunes during a challenging time in their histories. The campus culture combined with Silicon Valley’s Industrial Age roots also spawned the so-called “Google Bus” that transports staff back and forth daily between their homes in San Francisco and the corporate campus. Even though the very ICT tools Silicon Valley brought to the world make collaboration possible anywhere and in real-time and non-real-time via voice, text and video, its Industrial Age roots and campus culture continue to define it today. But with it comes the huge and unnecessary cost of a time sucking commute and horrible traffic borne daily by Silicon Valley workers. Health Department officials began analyzing the link between housing insecurity and health after watching hundreds of their clients get displaced from Oakland and surrounding cities. To understand the depth and magnitude of the housing crisis, officials conducted interviews with 188 Health Department workers and 167 Behavioral Services staff and contractors. Ninety-four percent of respondents said the stress of inadequate or unstable housing was affecting their clients’ health, in many cases nullifying the services that county health programs provide for needy communities.More than 10 staff members who filled out the survey said that they, too, had been priced out of the metropolitan areas of Alameda County, where rents are steadily escalating — the median rent for a two-bedroom is now $2,850 a month, according to the real estate site Trulia. Many of them now have long commutes from places like Tracy, Modesto or Antioch, which cause them to lose sleep and have led to car accidents, the study said. These results are not surprising and would likely be found in other high cost metro areas. In short, the center no longer holds as a diversified, sustainable socio-economy. Something has to give and that something is population health status.